I never cease to be amazed at the evidence of our Savior’s boundless love for each of us. I love the expression of adoration and trust on the faces of the children in this painting. To me, it represents our own gentle assurances that the Savior will bless us and answer our prayers. 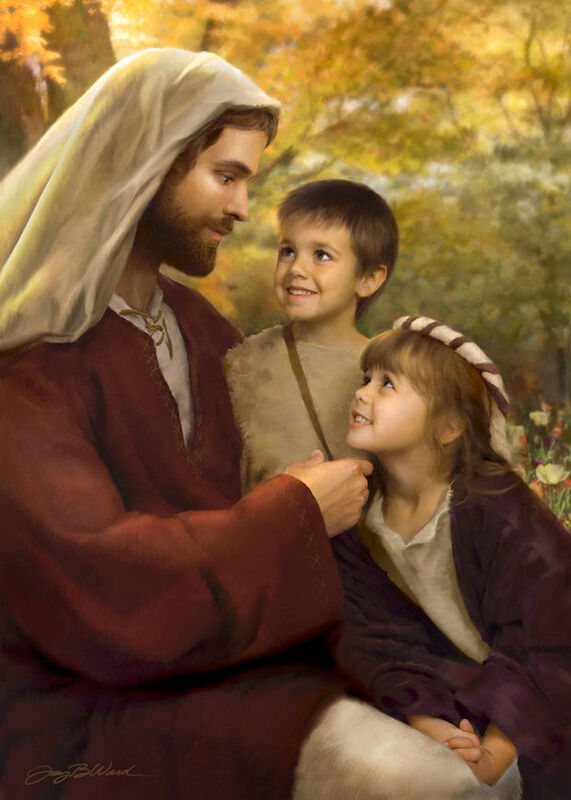 The Savior asks only that we turn our hearts over to Him and in turn, share His love with others. It is through this limitless love that we find the greatest peace and joy in this life, and as we come to witness its effects on ourselves and others, we will feel ourselves being drawn back to its source, even the Savior of all mankind. He is the Good Shepherd, who will lead us safely home.